What is this thing! I’ve basically combined a bunch of stuff into one experiment! I might have been inspired by the amazing planet explosions from The Force Awakens but wanted to see if I could get a cool version inside Element 3D. I added smoke elements, shockwaves using CC Sphere, and even used the Saber plug-in to give the beam a nice energy feel! 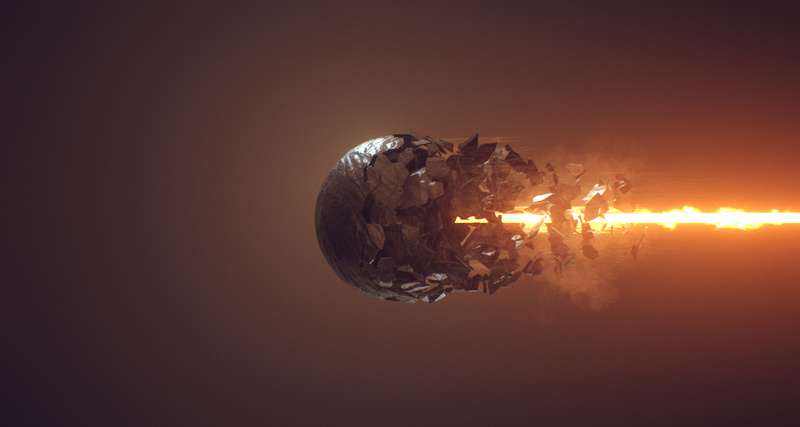 For the disintegration, I used the multi-object system of Element 3D with a pre-fractured sphere and animated with the animation engine so it would break apart over time. I even animated an After Effects light to match the death beam to fake reactive lighting. The Sci-fi Weapon Tutorial has some really cool tips for turning radial shockwaves into other shapes.